Is Muscle Tension Holding Your Horse Down…Literally? You know the old saying, "carrying the weight of the world on your shoulders" right? 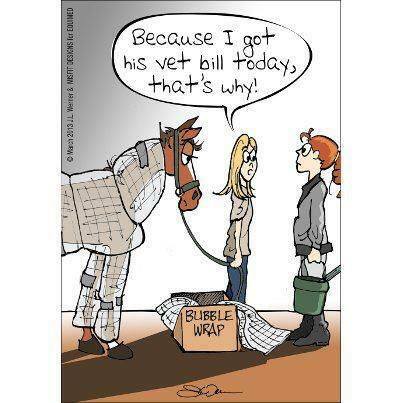 You probably never thought it would apply to your horse! Horses carry tension in their neck and shoulders just as we do, and they have the added weight of that long neck and large skull working against them to boot. Tension in the muscles located around the withers can have a compressive effect and cause your horse to actually shrink! Tension can literally be holding your horse down and keeping him from reaching his full potential. The front legs of the horse are actually not attached to rest of the skeletal frame with ligaments attaching bone to bone. Instead, the horse's scapula is free floating and only attached to the frame by muscles and cartilage. Because of this, when the trapezius muscles covering the withers stay in a contracted state, they compress the frame of the horse downward, effectively causing the horse to "shrink". One of my Quarter Horse geldings was built extremely "downhill". He measured 14.1 hands at the withers and nearly 15.0 hands at the top of the rump! Needless to say, most of his weight was carried on his front end which didn't lead to a very athletic horse. Because he was always dragging himself around by the front end, he had very weak abdominal muscles, high head carriage and a "U" neck from jutting his neck out. I started taking him for acupuncture and chiropractic to see if we could help his posture along with several other issues we were dealing with at the time. The veterinarian found that he was bound up pretty tightly at the withers and had some very serious pelvic issues. My horse looked like a pin cushion by the time all the needles were in place! He was then hooked up to an electro stimulation unit which sent electrical impulses to his muscles, causing them to contract and relax. He took the 4-inch needles and electro stimulation very well. He never seemed bothered by any of it and actually let out a deep breath and lowered his head during the session. Between acupuncture visits, I was instructed to perform equine massage and targeted stretches to help keep the muscles relaxed and supple. The acupuncture treatments would have needed to be more frequent and our progress not as swift had I not been able to do the follow-up bodywork. 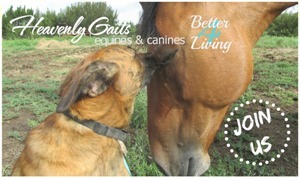 We did about six months of acupuncture and chiropractic once a month and twice weekly equine massage. One day I was just hanging out with my gelding and noticed for the first time that his withers were nearly level with the top of his rump! I ran into the house and got the tape measure and camera. Sure enough, he had come up 2 inches at the withers! I was totally amazed at what I was seeing. He was so downhill before that I never thought he would ever get close to being level. I am constantly reminded of Pat Parelli's Principle #2 – "Don't make or teach assumptions"! Never assume that a perceived conformational issue cannot be improved. Many issues that are thought to be unchangeable conformation problems are actually a simple matter of posture. With consistent equine bodywork most postural issues can be improved upon. Comment below if you have ever used acupuncture to help your horse. 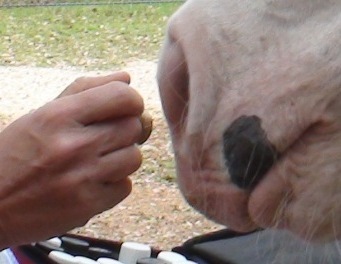 I am working hard to improve my mares hooves now. I have seen amazing things happen with consistent body work! Consistency is really the key MarVeena! You nailed it there. Keep it up and your hard work will pay off. Lisa, what I like about your articles is that you always share such valuable information with us about horses. Thank you so much! Thank you Sharon! It never ceases to amaze me when a horse does that. You really don’t realize just how much tension horses carry around with them on a daily basis until you suddenly see them let go of it. This article could be about my gelding. He just had his first chiropractic and accupuncture session last saturday and I am to do massage inbetween sessions also. I am so excited to see your results and can't wait for ours to happen! Tex did really well with the therapy. It was important to be very consistent with everything, but it really paid off. He was like a different horse. Good luck! Thanks for this article. This is a very prevalent problem in most horses, and I believe it can be directly tied to starting undersaddle while the topline is immature without the strength to support an adult rider without bracing. Then it becomes a habit that needs to be recognized and worked to correct. 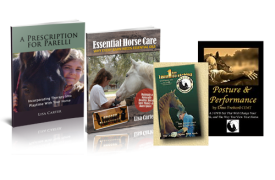 It has a tremendous affect on the gaited breeds and their ability to preform their naturally bred in gaits, which get distorted by the brace and downhill posture. So true Anita! It’s so sad how many horses get their careers shortened by many years simply because they are started too early. Just a year or two makes a HUGE difference in their developmental readiness.